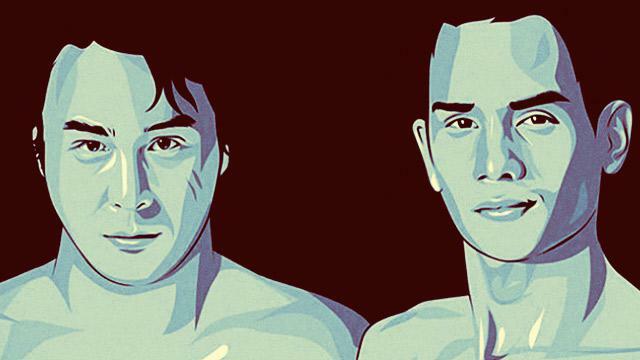 It’s never too late for actors Baron Geisler and Kiko Matos to professionally work together provided that they first settle their unfinished business inside the cage. In an interview with Inquirer, Matos said that he actually admires Geisler’s acting prowess and respects him professionally when it comes to his career in the showbiz industry. "I would love to work with him, he’s a very good actor, I’d like to learn from him also. He’s a senior. Nauna siya sa'kin," he said. Prompted further, Matos said that he was even willing to take on a gay role and form a love team with Geisler whom he was seen sucker-punching in a viral video just last month. "Of course I will, I mean if you’re secure with your sexuality, there’s nothing to be worried about… If the script calls for it. I think that would be a good film. I think everybody would want to see that, from fighters turned lovers," he said. Geisler for his part told Philstar that he was willing to reconcile with Matos as required by the Universal Reality Combat Championship (URCC) prior to their fight. “Well yeah, para lang matapos na, para matuloy na rin 'yong project. I mean, para matuloy din 'yong laban," he said, adding "Let’s see what happens [during the match]." Both actors figured in a bar brawl last month which was caught on video that has since become viral. The URCC immediately offered the pair to settle their differences in a cage fight. The URCC has scheduled a two-round exhibition match between the two on June 25 at Valkyrie, the Palace in Uptown BGC.